It is always challenging most times to get your Startup off the ground, especially when the funds are not available yet. This is where an angel investor comes in (To save the business like a real angel). But first, you might be wondering who an Angel Investor is, and why it might be in your best interest to meet one. An Angel Investor (or a business angel, informal investor, angel funder, private investor, or seed investor) is an affluent individual who provides capital for a business start-up, usually in exchange for convertible debt or ownership equity. If you have a great product and you can pull together an organization but you like funding, an Angel Investor can help jump-start your business. The investor will inject a huge amount of fund into your Startup and this could result in immediate growth and development of your business. Another advantage of Angel Investors is they usually have experience in the industry in which they choose to invest, and they like to get involved. In the early days of the business, this experience will surely come in handy, as they will mentor you and help you make difficult decisions which can be even more valuable than the financial investment itself. When searching for an Angel Investor, there is something you should keep in mind and look out for. Keeping all these points in mind will help you to get the best Angel Investor for your startup and secure a good deal for your business. 1. A history as a successful entrepreneur, preferably in a similar industry to your own. 2. The investor must have a Net worth of more than $1,000,000. 3. Must have a yearly income higher than $100,000. 5. Must be willing to hold on to the investment for at least five to seven years. 6. The investor must be willing to get involved in the business, able to advise when faced with important decisions. Finding an Angel investor is a bit difficult, the hard part is locating these investors and creating a connection with them. But the rewards are endless if you are able to get an investor to help boost your business. We will consider 5 tips that will help you meet and get close to this investors. This investors probably have a lot of pitch to sit through from potential businesses, and some take long hours. So its best to have a Strategy with an engaging Pitch. This can be achieved by Creating a presentation that truly stands out, and don't be afraid to make a strong impression. Know the ins and outs of your product, boost your confidence levels before your meeting, and create a memorable, engaging presentation. Investors often make decisions with their hearts rather than their heads. These investors like to keep a low profile, which is why it might be difficult to find them. Try to identify the Angel Investor groups and Network, and when you do, connect with individual members. After creating your perfect profile of Angel Investor, it will be easier for you to single out the investor that fits your startup. After meeting them, the next step will be to study them properly, so that you can build a Pitch that will catch their attention. When you are fully prepared, meet them individually. 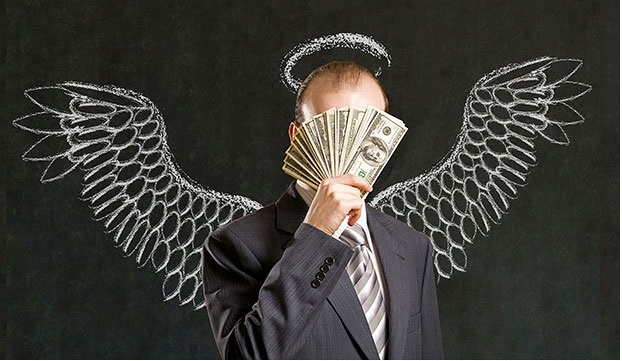 Doing all of this will help you get the right result from your prospective Angel Investor. These Angel Investors are also looking for business ideas to put their money in, so they also attend events where these ideas are pitched. Which means these events are a great place to meet them. So make efforts to attend these events and also participate in them, but make sure they are relevant to your industry. Apart from meeting these investors at the event and networking with them, you also get to pick up ideas you can implement in your business from such events. With the Web, you can find almost everything you need to grow your business, including an Angel Investor. There are websites dedicated for this purpose, an example is Nigeria Angel Investors so it will be helpful to look them up on the web. You can meet these Investors and apply for funds online, all made very easy. Some of these websites are designed to get you meetings with potential angel investor groups, which can invest considerably higher amounts than a single angel investor. Even if the Investor you meet doesn't invest in your Startup, you might get a connection to another Investor through him. So for you, it's a Win-Win situation. There are individuals who specialize in raising funds for businesses quickly, this is because they already have the necessary connections. But this method of raising funds might come at a higher cost. So if you do not have any experience in fundraising, your best bet might be to hire these fundraisers. To find an Angel Investor who is willing to Invest in your business might not be easy, but the rewards are worth it. You get funds to kick-off your business and the Investor might even add more experience to your Startup. So, implement this tips and watch your business move to the next level.